I am not exactly sure what kind of birds, but they may be swallows. They are marked2650 -1(2 & 3) Burwood Prod. MCMLXXXIII Made in U.S.A. They are in very good condition, and would make agreataddition to your retro decor. High Ridges. Full CROCODILE BACKSTRAP. Dark Brown. Intricate patterning. It shows signs of rust and wear. It is structurally in good condition. Lot of Seagulls Wall Decor. Faux Wood, Hard Plastic Composite. High Ridges. Full CROCODILE BACKSTRAP. Light Brown. Intricate patterning. Burlap type background. Sunflower Wood Wall Hangings. This was a recent estate acquisition. Cleaning is left up to the new owner. Made in Phillipines. You will receive everything photographed. Originally a sculptured panel borrowed from a late 19th century Art Nouveau screen, our replica is backed with a high quality mirror that reflects all the nuances of the original sculpt. The sinewy, organic lines of this luscious maiden are cast in designer resin and finished in faux ivory and gold leaf to hang on your wall. Truly an amazing and special piece, and certainly one not to miss if you are an astronomy lover or nautical enthusiast! The panel was originally intended to be hung on a wall, and features recessed nail hooks on the back side along with the makers mark and sticker. These are fabulous! Each one is adorned in detail with a unique English pub scene. Made circa 1950s by Peerage, previously known as Pearson Page Co Ltd who was the biggest source in the UK of reproduction copper and brassware during the 1920s and 1930s. 5 5/8 " round silhouette on mirror man taking a siesta by a casa and a cactus. back ready to hang. This piece has an Ornate Standing Lion & Fleur de Lis on the top as well as Gold Finish Letters and Decorative Floral & Leaf Designs. LA AC 4455. Gorgeous picture made in Italy. See all pictures provided for size and amazing detail. Victorian/Antique carved Alabaster oval plaque featuring Rapunzel. It has a beautiful scrimshaw look or design. High Ridges. Full CROCODILE BACKSTRAP. Huge 132 cm x 9cm. BLACK LACQUER & MOTHER OF PEARL TROPICAL FISH WALL SCULPTURE/PANELS. THE FISH ARE STUNNING & FOR THE MOST PART ARE ALL MADE OF MOTHER OF PEARL. USE IN PAIRS OF ALL 4 TO MAKE A BEAUTIFUL WALL DECORATION. Vintage New Orleans SLATE Art Tile VIEUX CARRE 9.25"
NEW ORLEANS. 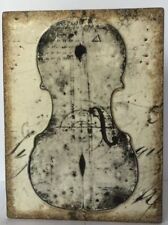 WALL PLAQUE ~ TILE. See Information On Back Of Tile . FREE Trial! We Are Always Happy To Assist. High Ridges. Full CROCODILE BACK-STRAP. Huge 126 cm x 7 cm. This is an amazing collection of handpressed flowers in a handmade book. I'm not sure of the exact date. but it is VERY old. Personally I think this book should be in a nature museum in Colorado. There are keyholes in the back for hanging. This is a magnificent pair of Antique 18th Century highly detailed Hand Carved Gilded Wood Wall Brackets. beast sitting atop a rock. From eyes to beak, to claw, to tail every aspect of this piece screams marvelous 18th century. Renfrew Studios. Buffalo New York. wear with age and use. believed to be 1940-50's era, possibly earlier - any information appreciated. 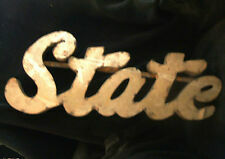 piece does show wear & tear - see pics. Vintage Italian Florentine TOLEWARE Wood Wall Plaque GARDEN SCENE 18.5" X 13"
Wooden Toleware. Italian Florentine. 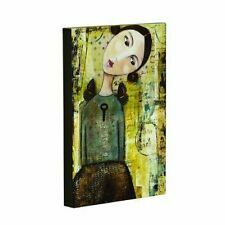 Wall Plaque~Picture. ~~GARDEN SCENE~~. 18.5" X 13". There Is A Small Scratch On Picture That Show White Where Color In Worn. We Are Always Happy To Assist. ALL VISIBLE IN PHOTOS. High Ridges. Full CROCODILE BACKSTRAP. Huge 128 cm x 8 cm. 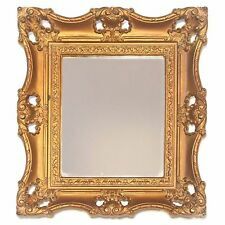 THIS VICTORIAN STYLE MIRROR IS MADE OF BRASS. 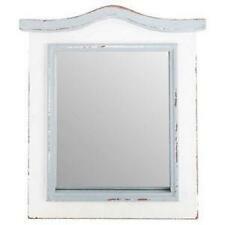 THE BACKING DETACHES SO THE MIRROR CAN BE REMOVED FOR EASY CLEANING. STAND SHOWN NOT INCLUDED. We Reclaim these treasures to bring to you to be Repurposed and we hope that you Rejoice when your Pardoned Treasure arrives! The original felt rug is woven of pure wool. MATERIALS:WOOL,FELT,BEADS,SHELL,FABRICS,VETERANS,BRODERIES ANCIENNES,BUTTONS,DYES,NATURAL,HANDMADE. Naturally dyed, traditional pattern of Konya. Traditional design, beautiful colours. This is aVery Decorative Yellow, Red & Green Wall Hanging Plate with Ornate Floral Deigns & Arabic Scripture ("The Remaining Signs of Past Centuries."). He discussed his idea ofhistory inThe Chronology of the Ancient Nations, also known asThe Remaining Signs of Past Centuries. Hand carved in the solid hard wood and hand fret in designs of a beautiful floral. Reflecting a gracious era, these petite Art Nouveau pieces combine organic form with female curves in classic turn-of-the-century style. Our toscano exclusives are cast of quality designer resin and set atop high-quality twin beveled mirrors. MATERIALS:WOOL,FELT,BEADS,SHELL,FABRICS,VETERANS,BRODERIES ANCIENNES,BUTTONS,DYES,MIRROR, OLD CLOTH,NATURAL,HANDMADE. The original felt rug is woven of pure wool. Naturally dyed, traditional pattern of Konya. These wall plaque vases are especially gorgeous and unique! You'll note that one ballerina had an arm fracture that was repaired. It is not notable to the eye. MID-CENTURY ART DECO Style Plaster/Ceramic Water Lily 3-D Large Wall Placques! Composition and Lamp Co". Each piece is almost 25" in height and about 9 1/2" across. Portrait is about 3" x 2.75". Portrait of Lord Claud Hamilton. Then we'll both be happy ! Nice Warm Finish. Wide X 23.5 In.